Hermann Thumm Drive, Lyndoch, South Australia. I know that the mood of this post is very different from what I usually write, but this time let me have the stage. One thing more, I don't normally flaunt about my faith but now I'm so courageous to say that I've sung my praises to bring back all the glory and honour to God! Amidst all the disasters (especially in Equine Medicine and Surgery in the mid-semester exam) and complicated health problems that I had during my preparation for the final examination last month, I was so blessed to have conquered all the hurdles last semester! Water can, indeed, be turned into wine! Officially, I've already completed 50% of this 3-year DVM program. The marks were supposed to be up yesterday but it didn't come up. I don't know how I managed to sleep last night while anxiously waiting for my grades. I got up early this morning, jogged, had my breakfast, checked my university account online, then took my lunch and checked again but the final grades were yet to be released. 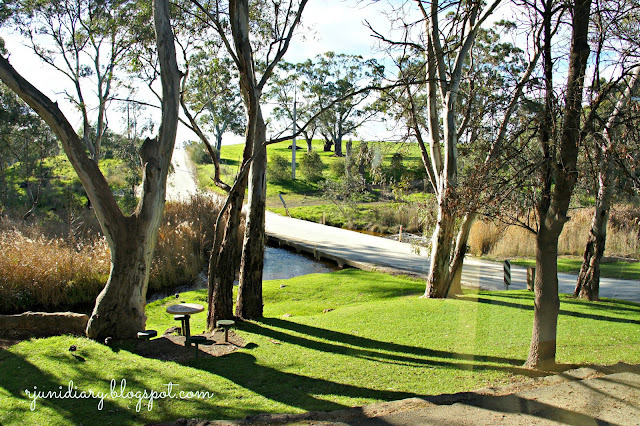 I tried to keep calm; and to comfort myself, I decided to drive to the beautiful Barossa. From Gawler, I drove through the winding the roads- uphill and downhill. I saw a herd of Hereford on the rolling plains, then some blanket-covered Thoroughbreds that perfectly contrasted against the hilly grasslands carpeted with the golden blossoms of soursobs. 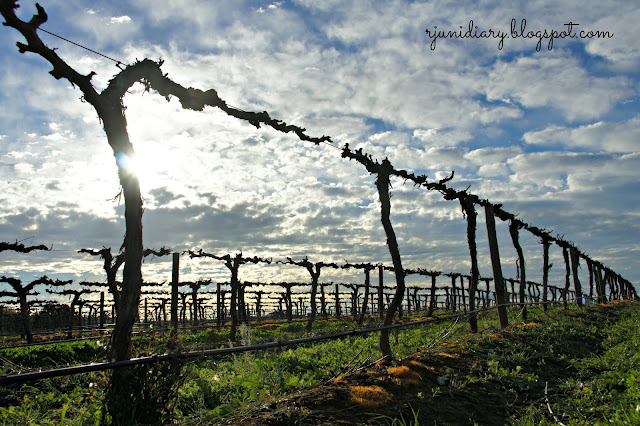 The newly pruned vines somewhere in Lyndoch, South Australia. As I went farther afield, the pasture gradually faded... there were varieties of huge eucalyptus trees- left and right, which seemed to be rushing the opposite direction as I accelerated to hit the speed limit. 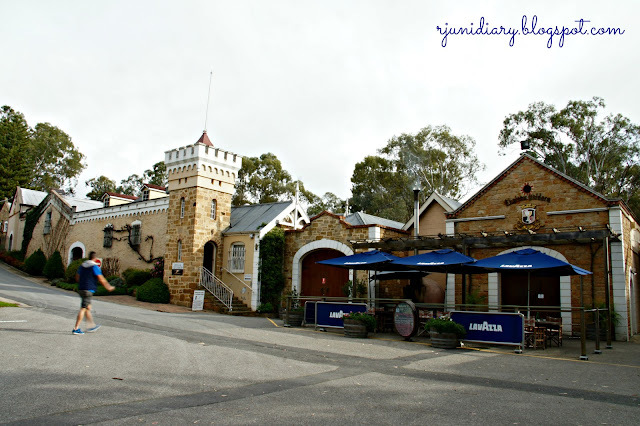 At the blink of an eye, those gigantic Australian flora were gone, and the scenery along the winding road was replaced by acres of leafless vineyards silhouetting against the cloudy winter sky. 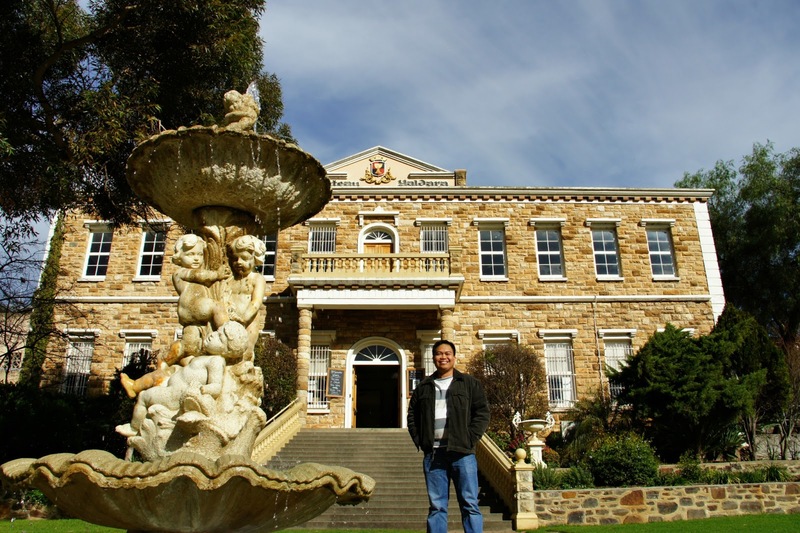 My first stop was Chateau Yaldara. 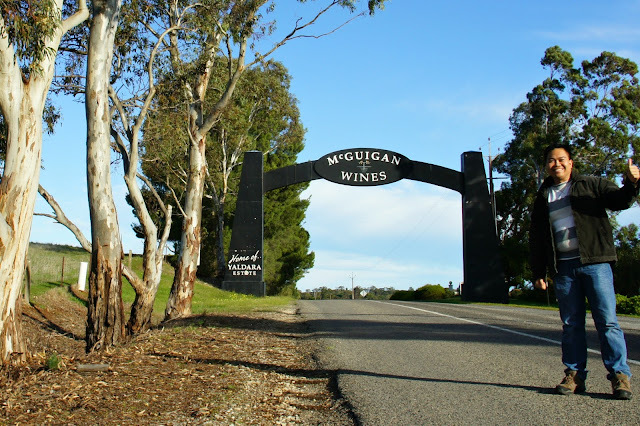 The Yaldara Estate selling their award-winning McGuigan wines, Lyndoch, South Australia. Now look at that! When I saw the sculpture and the fountain, my memory transported me back to Rome... then I instantly forgot everything about my pending grades! Surprisingly, the artwork was blending so well with the elegant French-inspired backdrop- a structure that was built in the mid-1900's by the bank of the North Para River. This winery was founded by Hermann Thumm in 1947 who eventually sold it to McGuigan Wines when he decided to retire in 1999. The concrete stairs of this charming country house was so tempting that after taking a selfie (thanks to the 10-second self-timer setting of my camera) my legs had undeliberately taken me up and into the mansion. There were two groups of wine-lovers enjoying their tasting session. 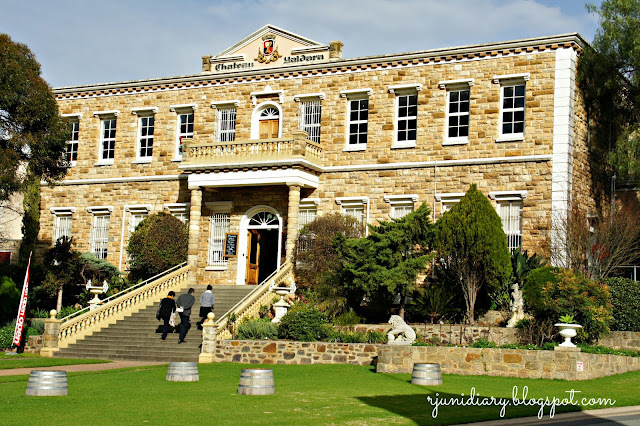 The gentle voices of the two lovely ladies behind the counter were faintly reverberating as they presented their award-winning wines one after the other. When one of the employees noticed me, she uttered a very typical Australian greeting and instructed me to proceed upstairs so, while waiting for my turn at the wine-tasting counter, I could enjoy the wood carving exhibit of an Australian artist whose name I can't recall. While I was standing by the window in the sala upstairs, I got a magnificent view of the fountain and the century-old flour mill (1867) below. 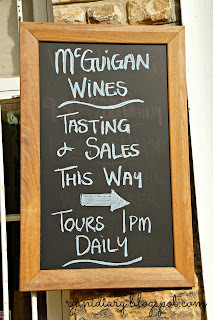 The wine-tasting counter of McGuigan Wines, Chateau Yaldara, Lyndoch, South Australia. 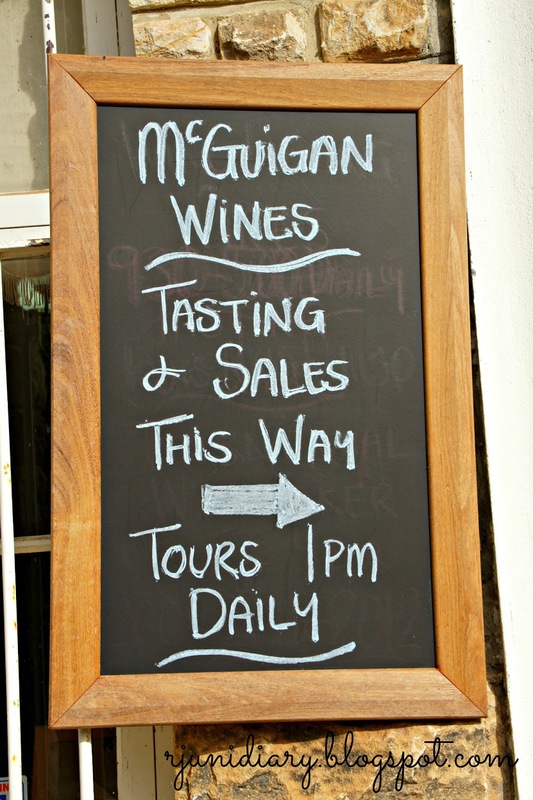 McGuigan have Pinot, Verdelho, Sauvignon, Shiraz, Semillon, Chardonnay and many more but I opted to try their sweetest red and white wines. 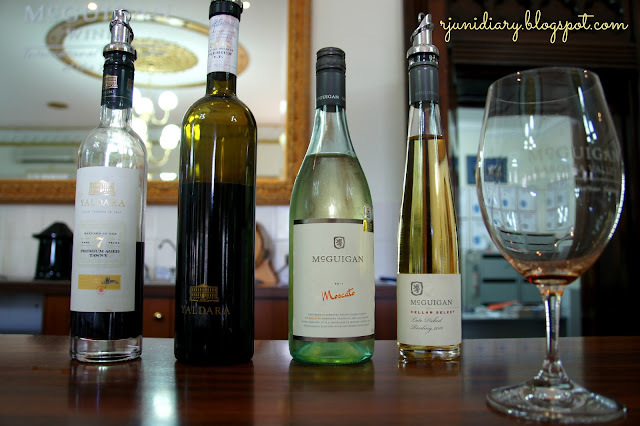 The very friendly lady behind the counter introduced their moscato, tawny port and late-harvest Riesling. The taste? Beautiful! International Wine Awards 2009, 2011 and 2012 judges really knew what a delicious wine is! The old flour mill (1867)- now a Greek Restaurant and an opal-souvenir shop. By the bank of the North Para River, Hermann Thumm Drive, Lyndoch, South Australia. 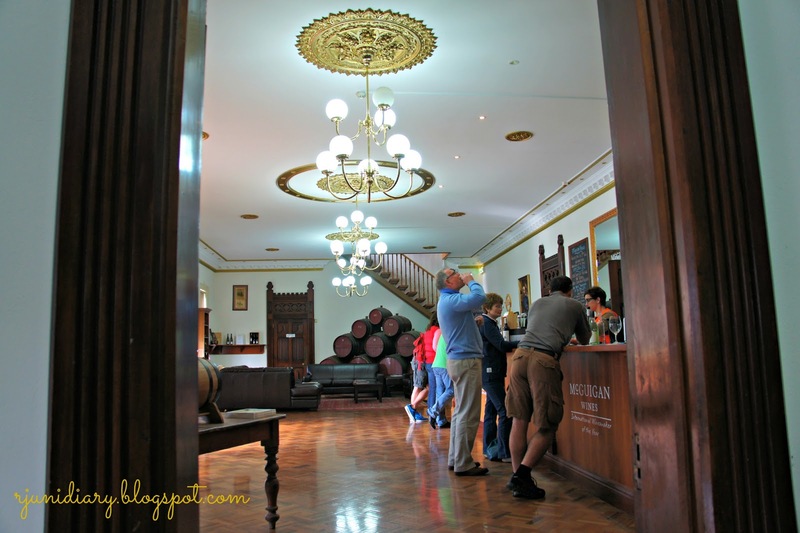 The tastes of those wines were still lingering on my palate when I explored the opal and souvenir shop across the road. Next door, there's a Greek restaurant known as Cafe Y- owned and managed by a family who could proudly trace their roots back to Greece. I entered and chose to sit next to the glass panel overlooking the river nearby. Then I started thinking about my final grades again... It was around 3:20PM when I bravely took my phone out of my pocket, turned the mobile data access on and logged in to the university website. My heart nearly leaped out of my chest when I saw the good news, and the rest was history! I was actually thinking beforehand to order a Greek meatball with roasted tomato and Greek salad but I instantly lost my appetite, probably because of joy. The waiter came to take my order, I asked him to give me the simplest Greek snack available. He left and came back with this biscuit on the plate and his mother who, he said, was the 'author' of this cookie. 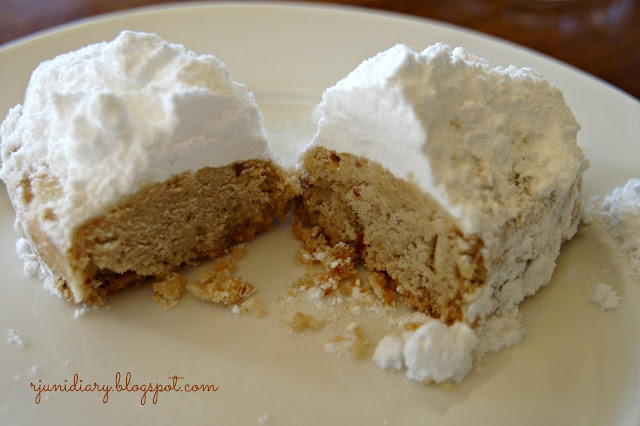 Kourabie served with a 'handful' of icing sugar; goes very well with coffee. So this is it, as promised.